To improve the accuracy of a piece. Items sold separately to replace or augment what’s included in a standard kit. These can include decals, detail parts, weapons, etc. A miniature spray gun used to apply paint. Applied with an airbrush, this lacquer simulates natural metal. The Armor Modeling and Preservation Society. Additional armor plates bolted onto an AFV to improve protection. Fine-art paint. Slow drying and easily blended, it’s often used for figure painting and washes. Converting a model to represent an earlier version of the subject. Weight hidden inside the nose of aircraft models with tricycle landing gear to keep them from tipping backward onto their tails. Also called nose weight. Fine-grain, easy-to-carve wood often used for scratchbuilding or patternmaking. Boyevaya Mashina Pyekhota; Russian for Infantry Combat Vehicle. A model in a nonstandard scale. Early kits were scaled to fit existing boxes. A nickname given to small-scale vehicle kits (1/72 and smaller), but doesn't cover pre-assembled models. A rotary instrument made of steel or tungsten carbide held and revolved in a hand piece and powered by a dental electric motor or air. In modeling, it is attached to a pin vise to drill holes. A dry-brushing technique used to make a model appear scorched by fire. Sculptable papier-maché mix used for diorama and vignette groundwork. A fool-the-eye technique that simulates natural lighting effects by painting highlights and shadows to bring out details on a model and give it a realistic look. Because this is permanent color correction, it locks the lighting and shade orientation regardless of the actual ambient light. Models produced in the standard, consistent scales (1/35, 1/72, etc). A model where the exterior skin has been “cut away” so interior details can be viewed. Liquid or gel used to dissolve super glue. Especially useful for freeing stuck fingers. Thin, printed transfers used for lettering, markings, and national insignia. Their adhesive is activated by water, so they’re sometimes referred to as “water-slide” decals. A miniature scene, often including vehicles and figures, in a natural setting. Applying a small amount of paint using an almost dry paintbrush. A method used to accent raised details or simulate wear and weathering. Test-fitting parts for alignment before cementing them together. Printed transfers (similar to decals) that are applied without the use of water or other solvents. Dry transfers often have pressure-sensitive adhesive and are “rubbed down” into place. A circular depression in injection-molded plastic parts. Caused by the molding process, these flaws often must be filled and removed. Used to fill gaps between kit parts. Extra material left on a model's parts from the molding or casting process. The Federal Standard color system. Adopted in the mid-1950s to standardize equipment and camouflage colors, this U.S. system uses five-digit numbers to identify paint colors. Officially “Pledge Future Floor Shine” in the U.S., this household floor-care product is used by modelers to enhance clear parts, as a high-gloss base for decals, or for high-gloss finishes. Using or creating detail parts for models or small models themselves from unlikely sources, such as other model kits, toys, household items, and scrap. Inaccurate, odd parts used to fill in areas where accurate detail is not provided, making empty space look busy; common in science fiction subjects. Thin, pointed razor held in a stylus handle for precise cutting, shaving, etc. The interchangeable, disposable razors come in various shapes and sizes; a "No. 11" is most common. Treads for tanks and other tracked vehicles in which track runs are made up of individual links and are glued or pinned together as on the real vehicles. Usually an aftermarket purchase; recently, more kits include this type of track. Parts produced when molten plastic is injected into molds for cooling and setting. Combining parts from different kits to produce a unique model. Thin, easily shaped metal foil used to model a variety of subjects, from rifle slings to damaged fenders. Often found atop wine bottles. Light-emitting diodes; electronic diodes that light up when current is applied. A paintbrush with long bristles and a fine point used for detail painting. Tracks for tanks and other tracked vehicles that are made of both individual track links and sections of of prejoined links. Usually, joined sections are longer for the top and bottom sections and the individual links are wrapped around the drive sprockets and idler wheels, joining the lengths together. Applied with a brush, this liquid solidifies when it dries and masks parts for painting. Especially helpful for oddly shaped parts, the masks are peeled off after painting. Sprue from a model kit cut into small pieces and dissolved in liquid model cement. Used as a filler. Unpainted metal, often the highly polished skin of aluminum aircraft. Specialized paints (such as Testors Metallizer, Alclad II, and SnJ) can be used. Weight hidden inside the nose of aircraft models with tricycle landing gear to keep them from tipping backward onto their tails. Also called ballast. "Out of the box," meaning the kit is built with the parts supplied in the box with no aftermarket or scratchbuilt add-ons or changes. A magnifier worn on the head to improve close-up vision. Paint (from an airbrush or a spray can) that accidentally lands beyond (or over) its intended location. A modeler’s collection of unused, leftover, or recycled kit parts. Ground coloring matter compressed into chalklike sticks. Ground-up pastels are used to simulate weathering. While this refers mostly to small folding tools, a photoetched-metal tool can be anything in a modeler's arsenal dedicated to cutting, filing, annealing, folding, rolling, or doing something else unique to photoetched-metal parts. Colored powder normally mixed with oil or water to produce paint. Can also be used singly as a weathering medium. Impressions left in plastic by the pins that eject parts from a mold. A handle with a tiny chuck designed to hold pin-size drill bits or scribing tools. Targeted wash applied to specific areas of a model. Panzerkampfwagen, German term for tank or armored fighting vehicle. The proportion a model bears relative to the full-size object it represents. 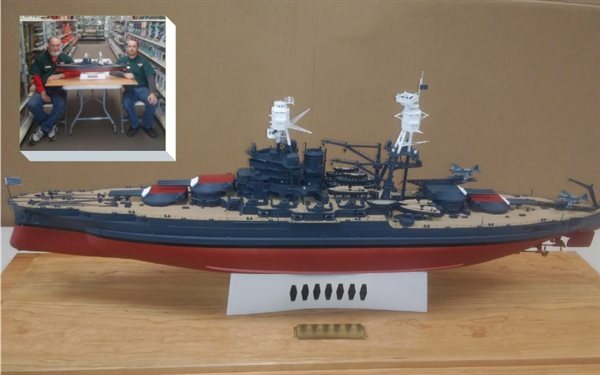 A model (or component) constructed “from scratch,” not from a kit. Generally, using a pointed tool to carve a line (such as a panel line) into the model’s surface. Sonderkraftfahrzeug, “special purpose vehicle”; SdKfz numbers were assigned to all purpose-built German military vehicles, but other terms took precedence for tanks, self-propelled guns, and other heavier vehicles, with SdKfz more likely to describe armored cars, halftracks, and other vehicles. Molded styrene parts that cool incorrectly can be marred by sink marks, depressions in the surface. Injection molds that use more than the traditional two-part top and bottom steel molds. In a slide mold, additional mold pieces can be placed into the sides of the main mold halves, allowing for undercuts and even hollow parts impossible with two-part molds. “Silvery” areas that appear around or under incorrectly applied or defective decals. A booth with an exhaust fan to remove harmful vapors emitted by paint, adhesives, and other noxious materials and supplies. A technique in which a tank or other type of tracked vehicle is mounted to a rough-terrain diorama base with a screw, washer, and nut through the hull's bottom, pulling the vehicle down tightly against the rough objects under the tracks like rocks, boulders, and debris. This causes the suspension arms to bend upwards and impart a realistic sprung-suspension look to the vehicle. The plastic “tree” that parts are attached to inside a kit. These were formed by channels that fed molten plastic into the mold and the part cavities. 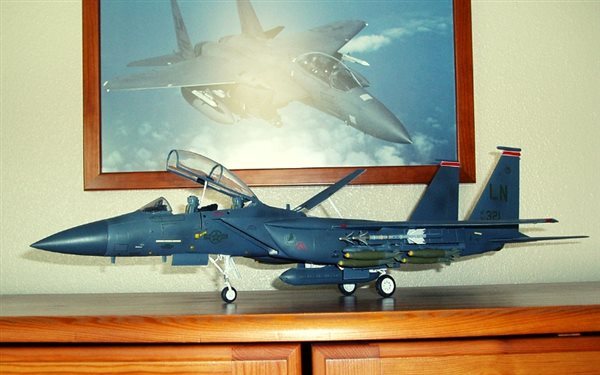 A model constructed using only the kit-supplied parts without aftermarket additions or modifications. Also a model-contest competition category. Also called "out of the box." Heating a piece of sprue by slowly turning it over a candle flame, then stretching it to create flexible plastic wire for details. Compound used in the manufacturing of plastics and synthetic rubber. Generally, plastic kit parts are made of styrene. Assembled parts (such as an engine) that will be added to a larger assembly (such as an aircraft fuselage). A model that has been detailed (often with many additional parts) to the highest standards of detail and accuracy. A part (usually aftermarket) that looked good on another modeler's work but unfortunately is no longer available for your model. Kits molded by pulling a heated plastic sheet down over a positive (male) mold with negative air-pressure caused by a vacuum machine. The kit's individual parts need to be cut from the sheet. Model display, often smaller than a diorama, in which the setting and subject form a narrative. Weathering process in which a solution of highly diluted paint is applied to small details, such as recessed or raised panel lines, rivets. etc., to color them or simulate accumulated grime or dirt. 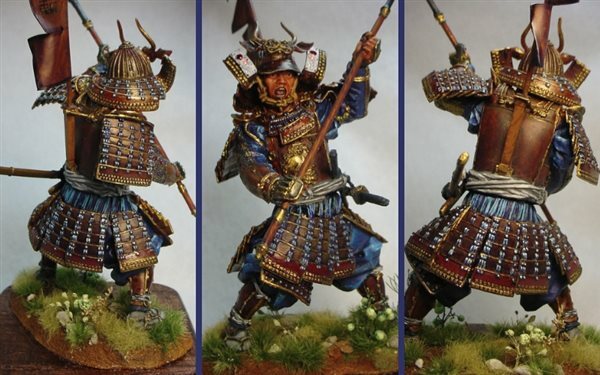 A wash should use a paint base that is different from the one on the model; for example, oil-based paints are used for washes on a model painted with acrylics, and vice versa. Glue, paint, or other material that can be thinned with water. Simulating the appearance of wear and tear (battle damage, exposure to the elements, age) on a model with paints, washes, pigments, etc. Sandpaper with water-resistant backing. Can be used dry or in water without dissolving. Sanding a surface using wet-or-dry sandpaper with water. The water carries away the removed material, preventing scratches and producing a smoother finish. A light metal alloy (which may contain tin, lead, or pewter) used for part casting. Brand name of a hobby knife. See "hobby knife." Nonmetallic paste applied to German armor during World War II to thwart placement of magnetic mines.